A complex subject to wrap your head around, i agree! But its pretty cool once you get a working example going. Let’s think of a game where a lander comes down from the sky (presumably on Mars – since Mars is a hot topic lately) and deploys a rover. In Cocos2d, you put all your objects on a Layer object. This means the layer class is the main class (analogous to a viewcontroller class contains buttons, views, labels, cells etc). 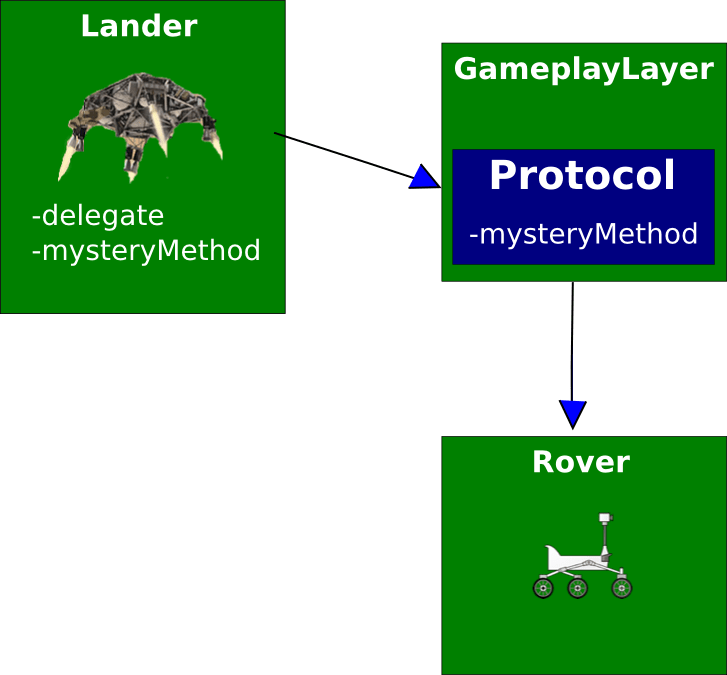 You create a Lander object class because you want to re-use it everywhere in the game. With every new level, you must create a new layer class but you can reuse your Lander Class. So you wan’t your Lander to be able to deploy these rovers so that each time you reuse the lander, it can deploy rovers on any given layer. And the GameplayLayer only has to adopt the GameplayLayerDelegate. 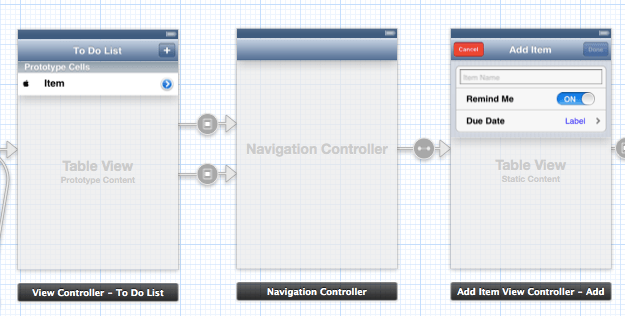 1) The ViewController on the left will conform to or adopt the AddItemViewControllerDelegate. What do you mean by “access a method at 3 times in a row”?